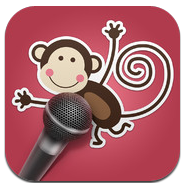 There are many wonderful apps for articulation therapy, most are pricey, but worth the money. Some offer a glimpse of the app by offering a phoneme or two free. Some of those "glimpses" along with completely free articulation apps are found in the list below. Included in this post are a few apps that are not designed for articulation therapy, but easily incorporated into therapy sessions. These apps may also be appropriate to use during phonological process therapy and when teaching phonemic awareness. 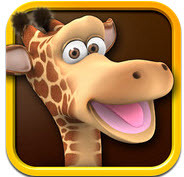 Phonics Studio by GrasshopperApps.com - I am a big fan of GrasshopperApps.com. All can be easily customized to meet each student's needs. This free app is no exception. Although not actually set up as an articulation app, it can be changed as needed. Under the "core initial /s/," I would delete scooter, shorts, spatula, shovel, spider, and snake and I might add additional /s/ pictures. You can add your own pictures, categories, and sounds. The star feature allows you to mark words for later practice. However, you could use the star feature to choose words by phoneme prior to sessions. 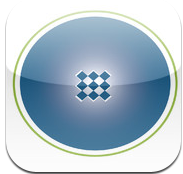 Data is saved for each student and you can use this app with multiple students during each session. The only thing that would make this (and other Grasshopper Apps) perfect would be to allow movement of the original pictures into different categories. Phonics Genius by Innovative Mobile Apps - Part of the Grasshopper Apps family, this app, with over 6,000 words, is also fully customizable. Add your own categories, words, and sounds. Sly F and V by Sly Speech Apps For /f/ and /v/ practice, this is one of many articulation apps from Sly Speech Apps and the only one that is free. ArtikPix by Expressive Solutions LLC - Free downloads for /th/ (both voiced and voiceless), /w/, /h/, and /j/ (y). Includes flashcards, matching activities, and the ability to keep data on multiple students. Articulation Flip Books by DynaVox Mayer-Johnson - The /ar/ book is offered as a free app. I Can Articulate by Express SLP - The /k/ is free and other phonemes can be purchased as needed. Articulation Station by Little Bee Speech - The /p/ is free and other phonemes can be purchased as needed. Quick Artic by Virtual Speech Center Inc. - Contains 566 images categorized by phonemes in all positions of words. Talking Gina the Giraffe, by Out Fit 7 Ltd, or any of the other talking objects or creatures are fabulous tools for therapy. Just test all of the buttons or use guided access to make sure that any undesirable sounds aren't heard in therapy. Students can talk and get immediate auditory feedback as Gina repeats their words or phrases. 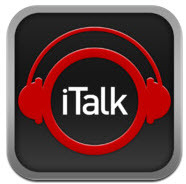 iTalk Recorder by Griffin Technology - Record and easily email recordings. A great way to email sound recordings of good speech to parents! For the younger students, look at apps by My First App; each app offers two free games. The others are locked until you make a purchase. Find apps for sequencing, puzzles, telling differences, telling about opposites, matching, and creating sticker scenes. All of these activities will give students multiple opportunities to produce target phonemes in spontaneous speech. For students of all ages, look at my last post, Free App February: Apps that Promote Expressive Language. Apps on this post will allow for numerous opportunities to practice phonemes in spontaneous situations. AND, visit Jessica Chase's blog, Constantly Speaking, to find her app list for articulation and apraxia of speech. Not all are free; however, beginning on page 14 (under Tongue Twisters /Phrases /Sentences /Jokes/Riddles/Books), I found 15 free apps that you could use for carry-over activities.